Small/Large Bowl Style Stainless Steel Sink. 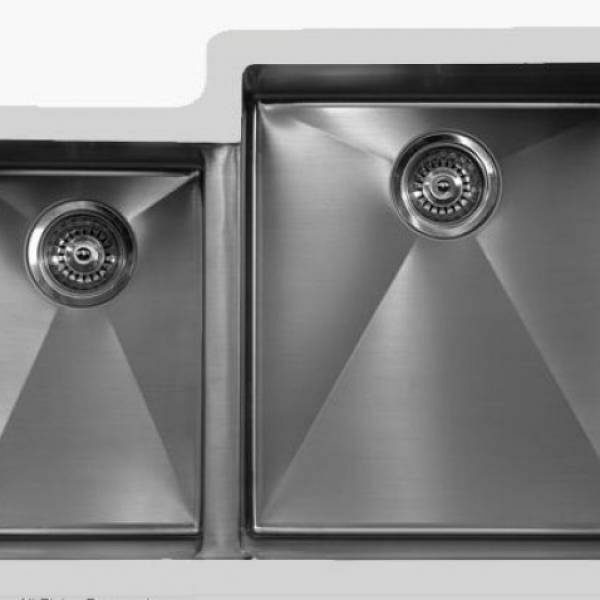 EDGE sinks are a revolutionary leap forward in the design of a stainless steel sink. Featuring a unique resin matrix specifically designed for seamless integration in solid surface and laminate. No longer do you need a rim, an overhang or a reveal in your stainless sink installations. Pure seamless integration is now achievable with the new Edge sinks by Karran. Crafted from high quality 304 stainless steel, all Edge sinks are constructed from heavy 18-gauge stainless steel with a brushed satin finish for long lasting beauty and durability. Sink Dimension: 32" x 21-1/2" O.D. x 9" | 9" D.